Human Resources Management (HRM) study deals with the most important asset of the company that is manpower in form of employees. Human resources personnel/department plays a very essential role in every small and large corporate, business as well as government alliance. 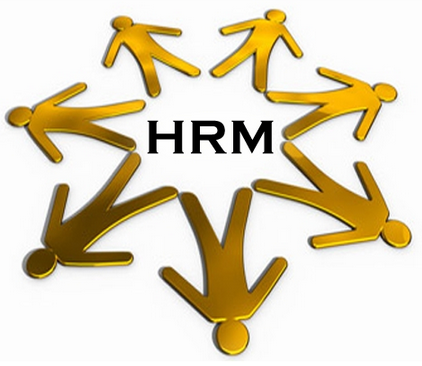 HRM professionals act as the mediator between staff members and the executives of the company. They make sure that every requirement of the worker is taken into consideration and build the entire firm work together as a single unit with a strong spirit of teamwork. Whether you desire to work in areas like politics, healthcare, legal world or any business, human resources degree can help you to land into a stable and fruitful position. Certification in HRM is not mandatory but many employees prefer to hire certified personnel and for few of the position in HR, certification may be essential. Executives of the company sometimes prefer higher-level candidates who have completed their degree with a specialization in HR along with the credential. Several certification options are available for a major in human resource management. The examinees have to pass the exam and must possess relevant professional work experience in the concerned field. SHRM (Society for Human Resource Management) is one of the professional association offering various certification programs like Professional in Human Resources (PHR), SPHR (Senior Professional in Human Resources). IFEBP (International Foundation of Employee Benefit Plans) offers Certified Employee Benefits Specialist (CEBP) credential. ASTD (American Society for Training and Development Certification Institute) offers Certified Professional in Learning and Performance (CPLP) certified statement. Human resources managers perform dual task of focusing both; on employee's and employer's requirements. Major functions of HR executive includes recruiting and screening talent, resolving employee grievances & conflicts, ensuring regulatory compliance, maintain morale of every employee as well as managing employee training. HR executive is a bridge between the management and employees in a firm. Critical functions like interview process, hiring of new employee, training and education to new employee, various payroll functions are performed by HR professional. Recruiters communicate with the candidates and question them before directing them to the suitable jobs. They might need to travel to attend career fair for the recruitment of applicants and provide information about the company during job fairs. Human Resources Managers plan and integrate firm's or organization's manpower for optimization of skills and talent. They also deal with the complaints and disputes arising in the workplace and resolve work-related issues among employees. They also handle staffing matters including performance of employees and also work with experts to determine the actual need of hiring and criteria that must be fulfilled by an applicant. What can I do with a degree in HRM? This is the most common question every successful HRM degree holder or those who wish to peruse his/her education in HRM will ask himself/herself. You might get answers to such question by knowing what will be your career scope after completing the degree in HRM. Eligibility: Minimum bachelor's grade and maintain 3.0 or above GPA score. Ideal for: Gaining position such as the professor, research associate or even higher. Duration: 1-3 year master's program. Provided by: Best schools for MBA, colleges, universities. Requirement: Bachelor's degree with GRE score. Best suited for: High Level designation in HR post like corporate recruiter. Necessity: High School Diploma/GED and also SAT/ACT exam score is taken into consideration. Ideal for: Entry and Mid-level occupation like HR manager of the firm. Necessity: High School Diploma/GED and sometimes ACT or SAT exam score may also be considered. Best suited for: Job titles such as personnel recruiter, human resource clerk or assistant, payroll officer, staffing specialist and many more might be earned. Duration:12 weeks – 1 year. Best suited for: Entry level position such as short-listing candidate's profile, etc. As per BLS estimation, HR careers are expected to be blooming in the upcoming years. Employment chances should be best in scientific, technical and professional consulting industry as the organizations will continue their association with consulting firms for their HR activities. Overall job growth projected in the careers in human resources program is 13% to 21%.